Earlier this month we launched our brand-new footwear collection…then the #BeastfromtheEast came to Scotland. As the UK ground to a halt under the ‘thundersnow’ we took to the hills and checked to see if these boots were really made for walking. Let’s get down to basics: a range overview. There are three bespoke styles, named after three Italian mountain ranges, available in both men and women’s specific fits. We recruited internationally renowned footwear specialist Gordon Fraser to consult on the collection which is designed, tested and developed in Scotland and manufactured in Europe. Two of our team, Dani and new boy Jason braved the post #BeastfromtheEast snows and embarked on a pleasant 12-mile stroll in the magnificent Loch Lomond and Trossachs National Park. Setting off off from Inverarnan walking through to Tyndrum along the West Highland Way; snowy paths and stunning scenery the whole way. 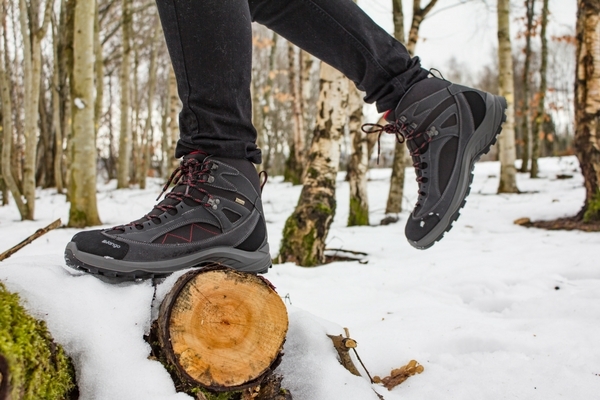 The collection features Protex® waterproof/breathable membrane, Vango FootSpy™ insole, cushioned PU midsole, Rock Rubber® and the Vango FlexBeam System™ chassis. All boots in the collection are fully approved by The Duke of Edinburgh’s Award. The Vango FlexBeam System™ is a calibrated chassis for each unique foot size. 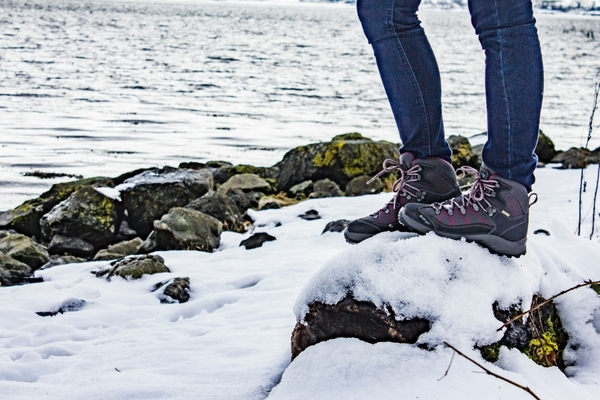 Every foot size will get the flex and support they need when trekking. The calibrated chassis system is also designed to protect the soles of feet from stones and potential bruising when the going gets tough. In addition to the new technologies in the collection, Vango have developed their own fitting process with the Vango FootSpy™ insole and Vango FitStick™. Every pair of boots is specially fitted with an insole that features a red line at the toe end, indicating where the toes should be positioned. The Vango FitStick™ enables swift removal of the insole via a small hook and allows consumers and retailers to measure any space at the heel of the boot, ensuring the optimum fit.